Only 7 Express 4x4 Crew Cab 5'7' Box models left in stock! All new vehicle prices exclude Destination Charge (freight), Tax, tags, and processing fee of $799 additional. Prices include all applicable rebates and incentives. Some included rebates may require financing through the manufacturer, and are therefore subject to credit approval. Additional rebates and incentives may apply to those who qualify. Pricing may not be compatible with special factory financing. Prices are valid based on manufacturer incentive program time periods, which vary by make. MSRP, Retail Value and Sale prices do not include dealer installed equipment. All prices are internet only prices. We make every effort to provide accurate information. Some vehicles may include up-to $1,295 in dealer installed options. Please verify options and price before purchasing. Residency restrictions apply. See dealer for details. 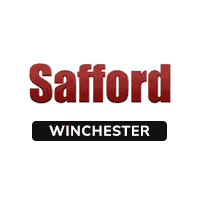 Safford is excited to come to Winchester. With three other Chrysler Jeep Dodge stores, we always maintain competitive new and pre-owned inventories of Chrysler, Dodge and Jeep vehicles. Staffed with experienced sales representatives and top trained technicians, we’re here to provide a fun, easy and valuable automotive shopping and service experience. Stop by our dealership today at 1659 Berryville Pike to see for yourself! Safford Chrysler Jeep Dodge Ram Fiat of Winchester	39.1868673, -78.1270403.